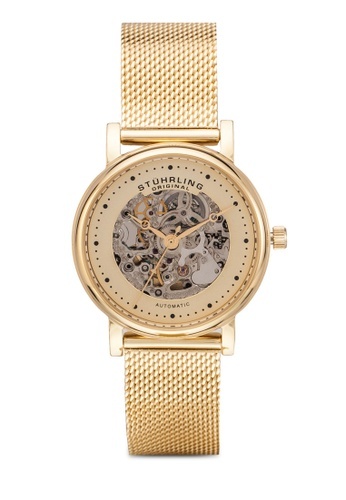 It's time to give punctuality its moment to shine on the wrist with Stuhrling Original. Part of the Legacy Collection, the Casatorra 832L watch embodies contemporary engineering with Automatic movement in polished all stainless steel design, accompanied by a skeletonized dial with Krysterna crystal to deliver absolute luxe in every second. Can't find Stuhrling Original Casatorra 832L Watch in your size?